With three Gameweeks played, The Scout sifts through the data so far to pick out the Fantasy Premier League options who have impressed. The ICT Index - which condenses over 40 statistics to allow for easy comparison of players - provides the basis of the analysis. Defenders are next under examination. The 26-year-old is clearly the most likely provider of goals from the back. He sits on top of the ICT Index on 29.2 and has scored 94 for Threat - the element that measures a player's opportunity to score. Alonso ranked top for both elements among defenders last season (157.6 and 536). He already has two goals and has fired a shot every 33.8 minutes, compared with six and an effort 58.6 minutes in 2016/17. The Welshman is equally dominant as a potential source of assists for Tottenham Hotspur. He ranks second in the ICT Index at this point on 28.5 and top scores for Creativity with 135.9. That tally dwarf’s his nearest rival - Manchester United's Daley Blind (£5.5m) - back on 80.5. Davies is second to Blind for crosses (22 vs 23) but has created nine chances, three more than any other defender. He has made a key pass every 28.9 minutes compared with every 62.0 minutes last season. Hegazi has been transferred into 929,000+ squads, more than any other FPL player this season. The Egyptian is a force at set-pieces and scores 70 for Threat with four shots and three on target. 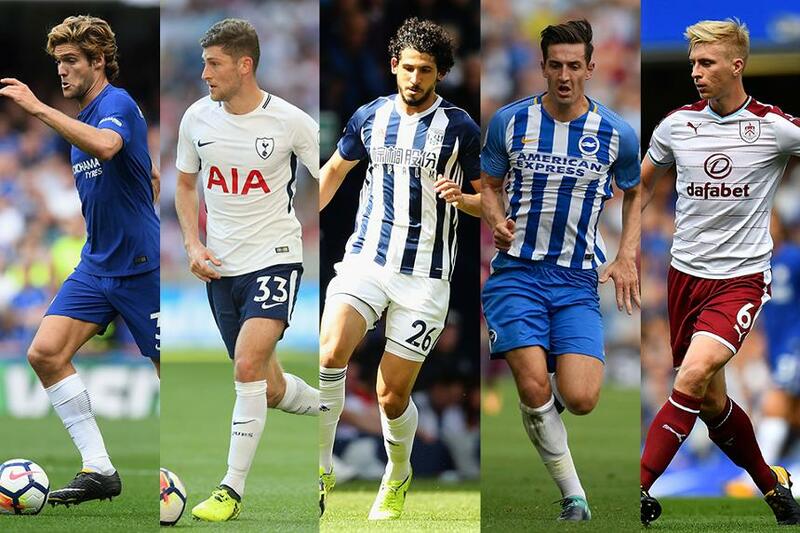 The Brighton & Hove Albion defender surpasses Hegazi's total. He places sixth in the ICT Index on 16.1 but scores 83.0 for Threat, second only to Alonso. The towering centre-back has had eight touches in the oppositions penalty area, including five shots on goal - more than any other defender. Another cut-price option to start the season strongly. Mee ranks third in the Index (19.8), despite failing to earn a clean sheet, goal or an assist so far. He has had four shots on goal and top ranks for clearances, blocks and interceptions (45) - a factor that could help him earn extra points through the Bonus Points System (BPS).